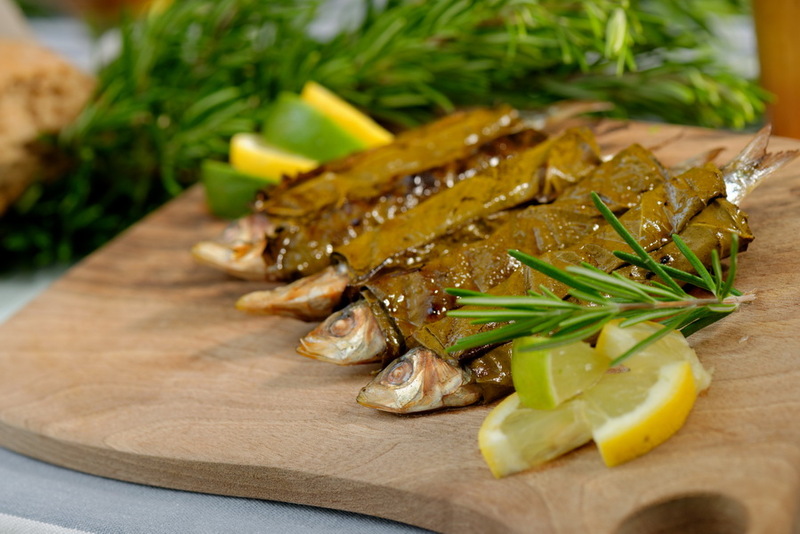 This delicious Greek dish is made by grilling fresh sardines wrapped in vine leaves with lemon slices, herbs and spices. 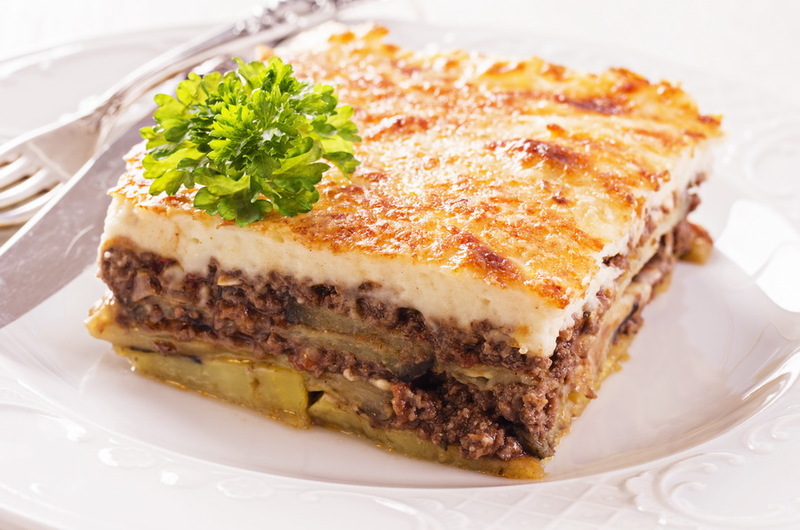 Moussaka is one of the most well known Greek dishes. It is aubergine (eggplant) based and traditionally contains minced lamb meat. It is prepared by making layers of aubergine and minced meat sauce, all topped with white sauce made with butter, milk and flour, all sprinkled with cheese. 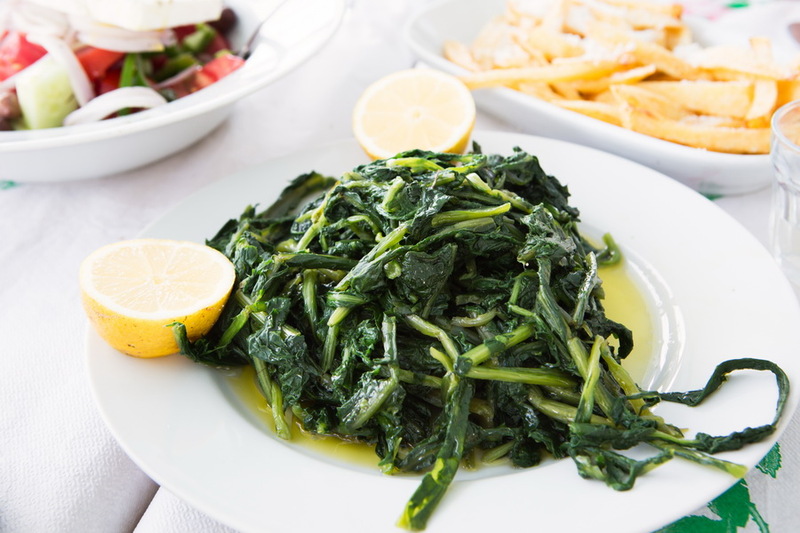 Horta in Greece is a popular side dish, eaten hot or cold. It is made of cooked leaf vegetables, seasoned with olive oil and lemon. Depending on the area and time of the year, many different types of green, leaf vegetables can be used, such as Swiss chard, kale, spinach. 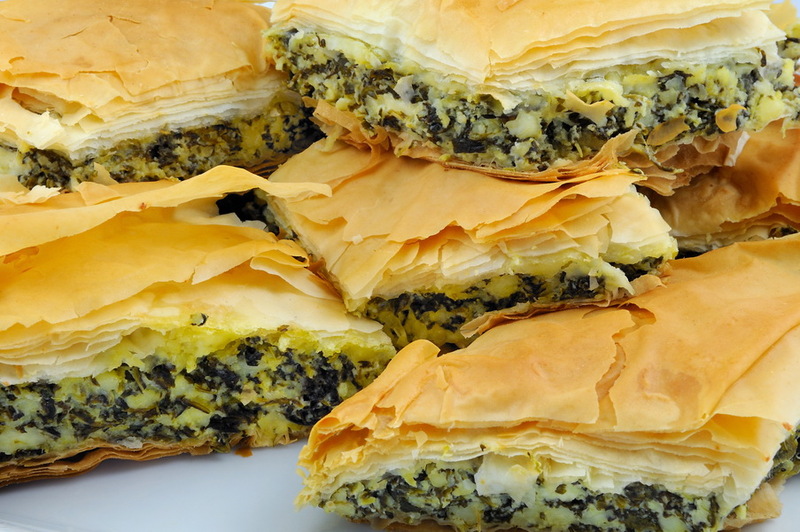 Spanakopita is a delicious Greek pie made with phyllo dough, spinach and feta cheese. This Greek dish is great for any time of the day, as a main dish or a starter. 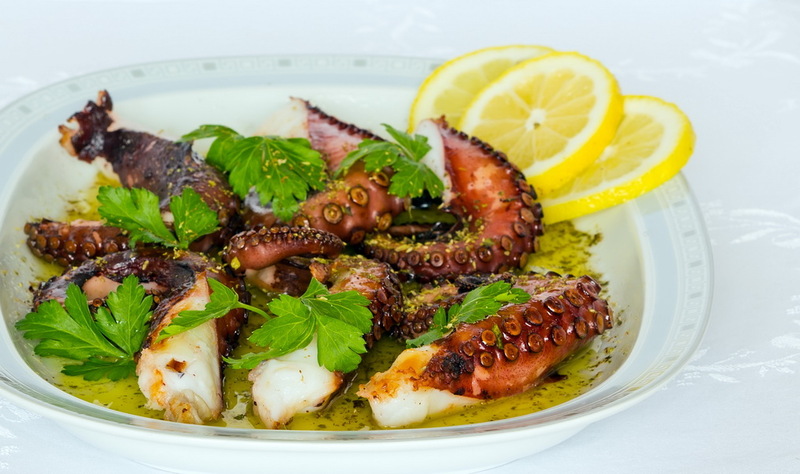 A very tasty Greek specialty, if you don’t mind the look – the grilled octopus. Here with olive oil, lemon, oregano and parsley. 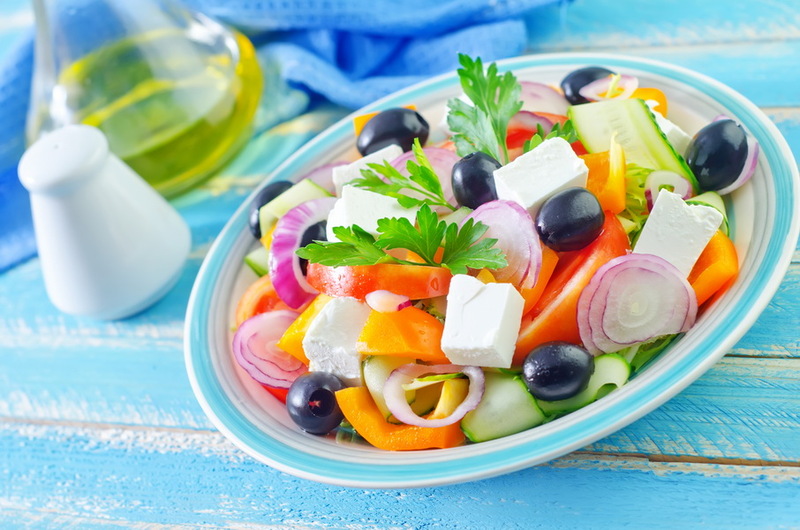 A well known around the world Greek salad – must be with the feta cheese. The traditional Greek feta cheese is made from the mix of goat’s milk and sheep’s milk. Ceylon Tea Grades in Sri Lanka – OP, BOP, FBOP,..